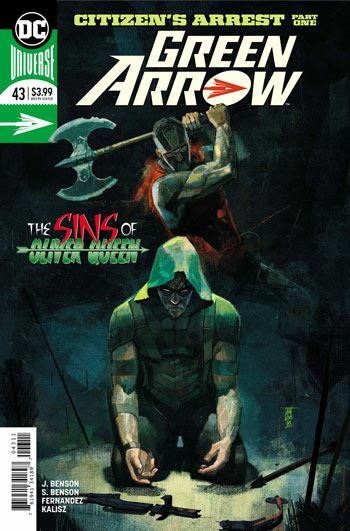 Roy Harper is back in the latest issue of Green Arrow, and he and Ollie still aren’t really getting along. I like that the long standing emotional wounds between these two never truly get patched up. It’s one of the more distinctive features about Green Arrow. And this issue does a very good job at using those touches. Not just the tension and forced friendliness between Green Arrow and his former sidekick, but also his relationship with Black Canary, as well as the social conscience at the root of the character. Now back in charge of the Queen businesses, Oliver is causing problems for the accounts simply by attempting to behave ethically. And ethics are kind of at the core of this story, as the villain is going after the exploitative one percenters, who care nothing about ethics. The Bensons have crafted a very enjoyable tale, and Fernandez does an excellent job bringing it to life. 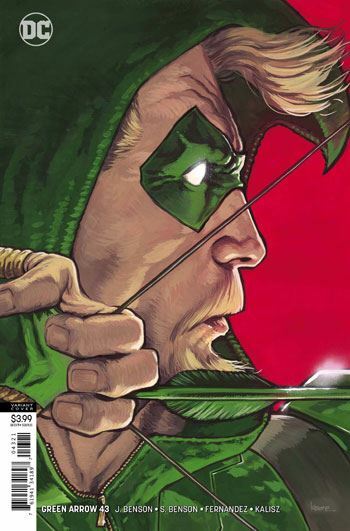 His work reminds me a bit of how Trevor Von Eeden used to draw Green Arrow, back in the 80s. There is a bit more expressionism than detail, but in a very focussed and effective way. A solid story, building to a very good tease for the next issue.